I’ve lived in Yorkshire for 27 years but surprisingly, have never owned a wax jacket (or a flat cap or a ferret, stereotype fans!). I remember my granddad’s – creased with use, smelling strongly of wax, worn when out walking in the bitterest of weather. A wax jacket – or more specifically, a Barbour jacket – is the staple of the traditional Yorkshireman, but it’s only recently that the brand has enjoyed a rather fashionable revival. British heritage is huge right now, and Barbour is up there with Hunter as a classic brand coming back into the mainstream. Collaborations with Liberty and William Morris and sightings on celebs like Kate Moss and Alexa Chung mean Barbour has found a place with the fash pack, as the countryside coat du jour. Over the past year I’ve developed a slight obsession with British heritage brands (first Hunter, then Mulberry) and a classic Barbour wax jacket has been on my wishlist for some time. So my day was made when Barbour contacted me about working together, offering to send me a jacket of my choice. 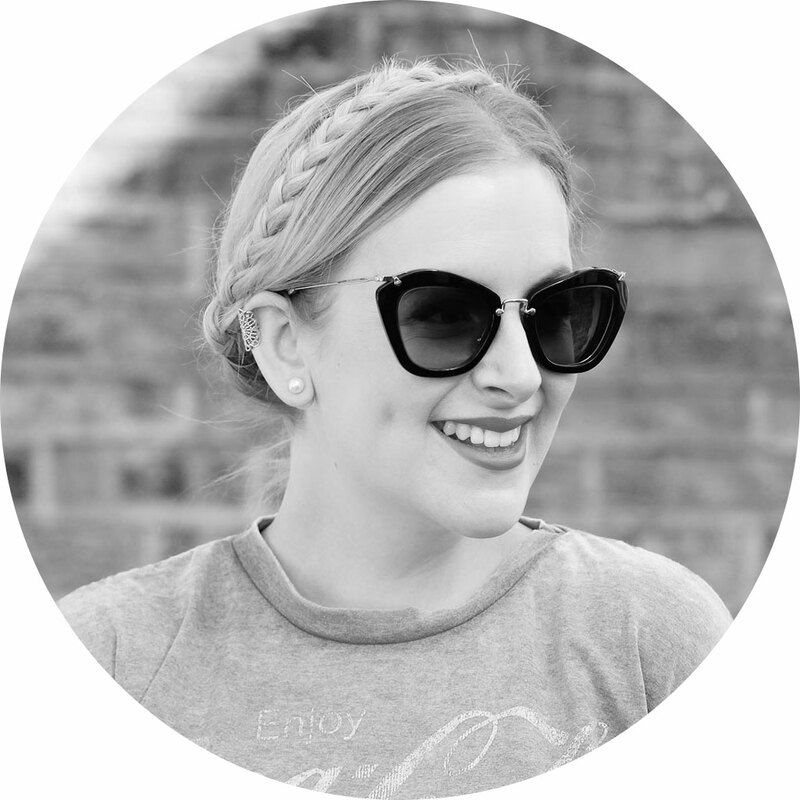 I went for a style from the Liberty collection (of course, I mean… look at it!) – the Liberty Beadnall in Olive Forest Floral. It hasn’t been off my back since the day it arrived at my studio (amid much cooing and stroking from my fellow Duke Studios residents… male and female). It’s one of the most versatile jackets I’ve ever owned – keeping me warm when the wind’s blowing but not suffocating me when the sun shines. The muted olive colour goes with everything and that flash of Liberty print… sigh. True love right here, my friends. Despite gracing the world’s most fashionable shoulders, the Barbour jacket is still quite a practical piece, and it’d be easy to wind up looking a bit farmer-esque while wearing it. But with a spot of simple styling, it looks far more chic than… sheep. I noticed this glorious wooded path while driving to the car boot sale last weekend, so Rob and I nipped back with the camera the next day to take these photos. 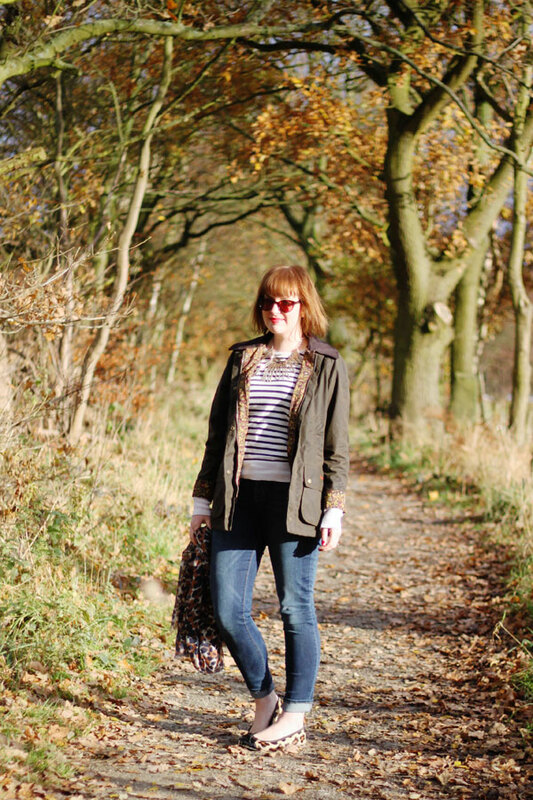 Leopard print flats are definitely not the most suitable footwear for slightly soggy tracks, and we did get a few odd looks from dog walkers… but it was worth it, as I love how Rob’s photos came out. 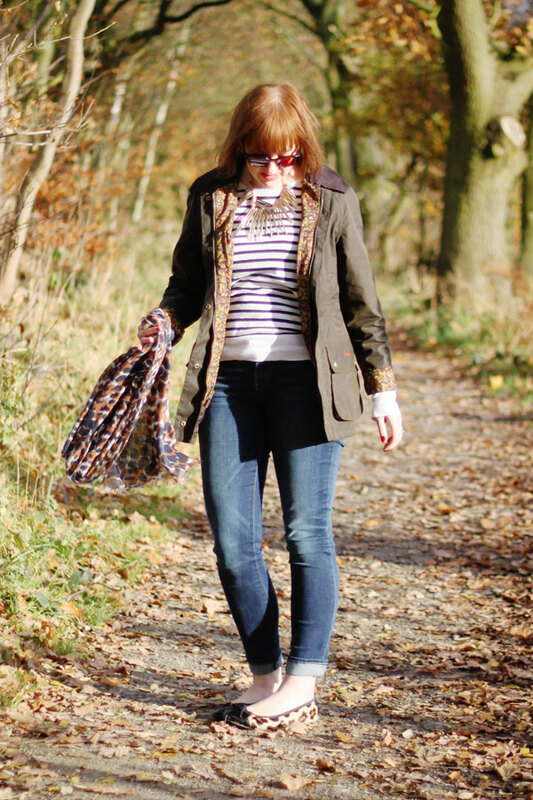 As for the outfit, my favourite denims paired with a classic striped sweater and the aforementioned flats rather than wellies (or – god forbid – hiking boots) work for city shopping as well as countryside rambles. Although I concede that hiking boots are probably better for the latter. 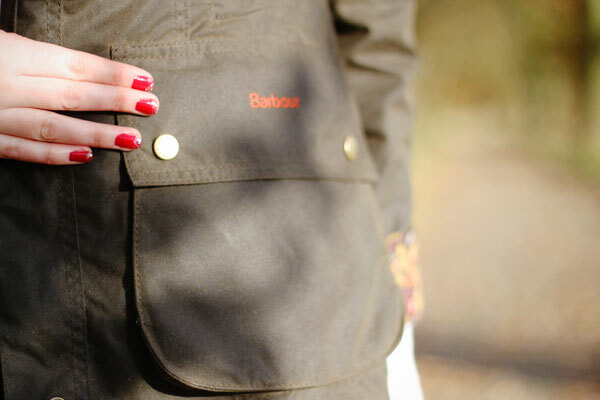 What do you think of the classic Barbour wax jacket? Would you wear one? And if so, how would you style it? You may have noticed those two fluffy friends in the sidebar – Barbour are currently hosting a Christmas Competition with different prizes on offer every week, including £500 to spend with the brand. For a chance to win, read the deets here and look out for those sheep… wherever they’re hiding! That’s such a beautiful jacket, whenever I think of Barbour I always think of the quilted version. That print is lovely too, adds something special. I will probably never own such a piece sadly! 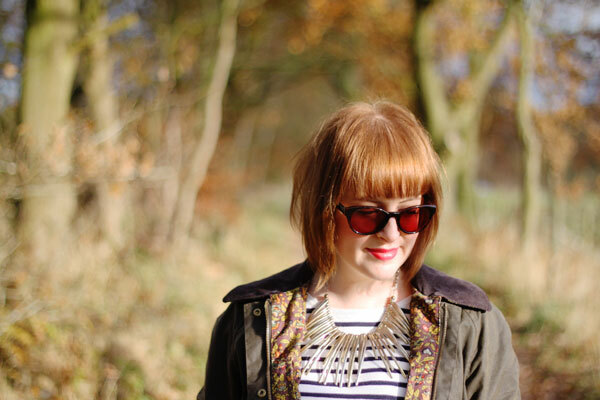 My Mum has always had a barbour so I kind of associate it with ‘Mum-chic’ haha. I don’t think they are quite for me but maybe if I was more outdoorsy. She has had some fab customer service off them though, she sent it off last year to get a small rip patched up. Definitely worth the investment! I love this jacket on you! The inside pattern is so lovely too. I love that jacket, and i really love these photos! the light is beautiful, and you look great! Really great post Jen, I bought the exact same Barbour as you last year (but with a different Liberty print) & I absolutely love it. Perfect for walking the dog to shopping in town. aah lucky you, i love barbours! esp love the floral touch to this one. 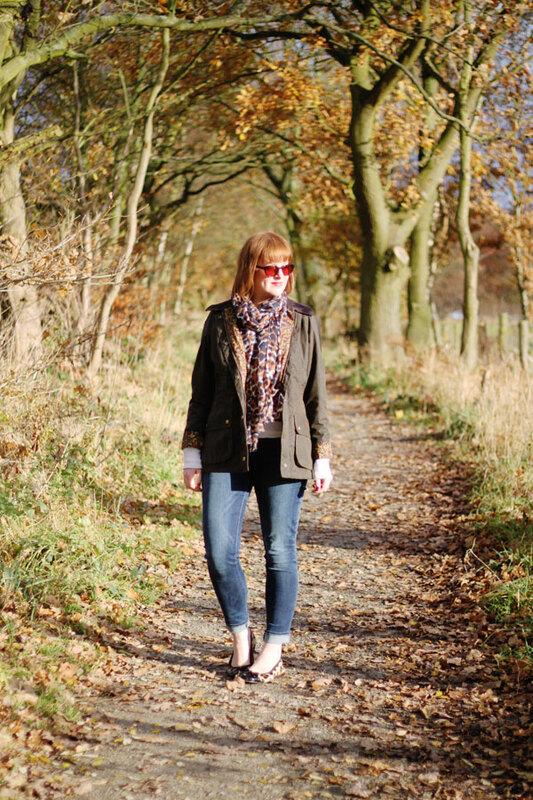 I did a post recently on my Barbour jacket saying it was the uniform of North Yorkshire school mums (please don’t take that the wrong way). I think mine is the Kate jacket and also has a Liberty print lining. I styled mine in the classic cliche manner of pairing with the Hunters and a Barbour scarf in a bit of a jokey way but I was quite surprised how many comments I got on that post. oooo is it really wrong to be jealous over a coat! !..im literally sat here looking at your pics green with envy!! 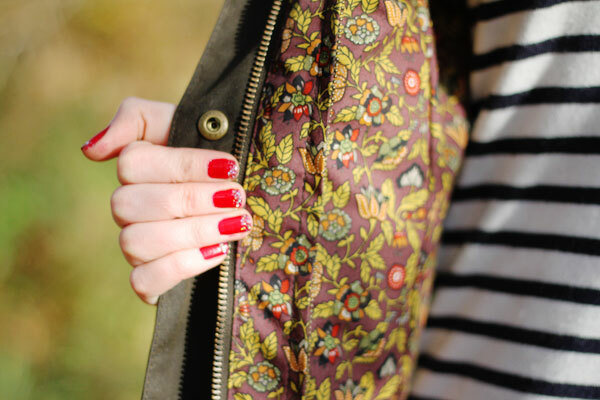 I love Liberty prints but I used to hate Barbour but seeing your whole outfit is so cute I may change my mind! These pictures are lovely and the coat looks fantastic! I bought a Beadnell Barbour around 18months ago similar to yours but with the traditional lining. I bought it for going walking at weekends and I have to say its not been very good. Despite being very waxy, its not waterproof and definitely not wind proof! I’ve now had to resort to a coat from Decathlon for walking and the Barbour is strictly for fashion!! I work for Barbour and we’re really sorry to hear about your disatisfaction with your jacket – it sounds very strange that it isn’t waterproof. Please can you call us on 0191 455 4444 and ask to speak to one of our Customer Services Team? We can then have the jacket back for inspection to see if we can help. Ooh you lucky girl, the lining is gorgeous! My boyfriend has a wax jacket but he’s so oblivious to what’s going on in the fashion world he has no idea how stylish he looks! 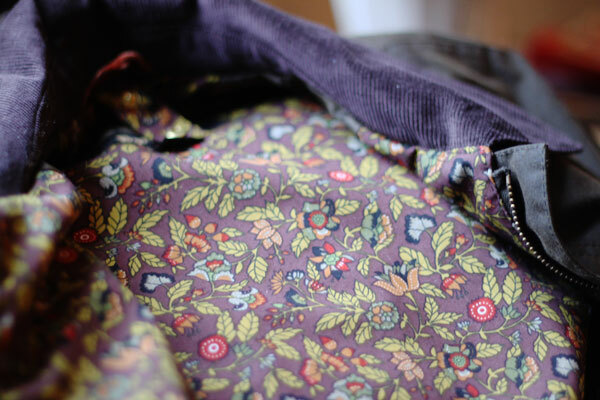 I love my Barbour beadham jacket but I have no idea how to clean the lining without damaging the wax. 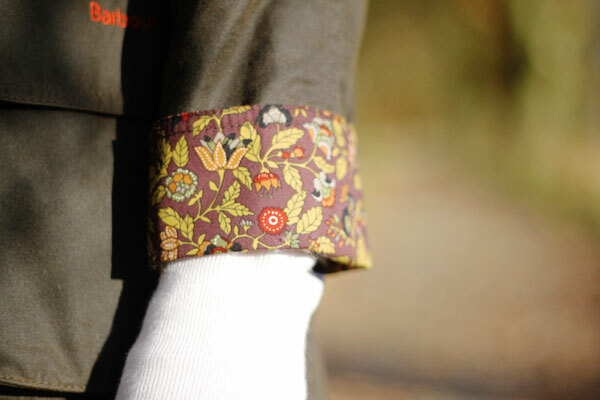 I took it to loads of festivals this summer and the cuffs are a but grubby now and I want to show the lovely lining off. Might give Barbour a call because I can’t get a good answer online. I wear mine to work like this http://www.fatfrocks.com/2012/07/barbour.html because it’s always raining in South Wales. Yes definitely love the Barbour brand, their jackets look good and nothing beats being warm and dry especially with the UK weather being as it is at the moment. The Liberty collaboration is fab too infact just featured a hat from it in a gift guide I have written. 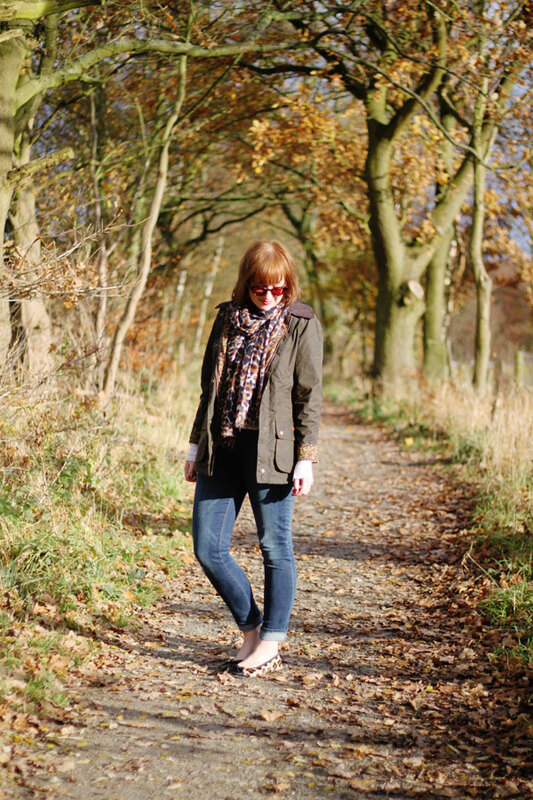 Hunter, Mulberry, Barbour?! Are you trying to be ironic? Unless you mean “skint” as a result of indulging in said purchases? Though bankruptcy of epidemic proportions wouldn’t float my boat in order to merely prove/advertise my “British Heritage”. Oddly enough, I’ve lived in Liverpool all my life and have never worn a shell suit…brb, off to prove my Scouse heritage. You’re absolutely right – I need to change the tag line. It’s been on my to do list for months but I haven’t got round to it… but it’s definitely not an accurate reflection of the content any more. Point taken though. Although not sure I get the one about ‘British Heritage’ – I’m a Yorkshire girl through and through but you’d never see me in a flat cap. I’m glad to hear you’re not the shell suit type, though. 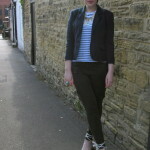 Love how you have styled this, I love the Liberty print Barbours but sadly a little out my price range at the moment! 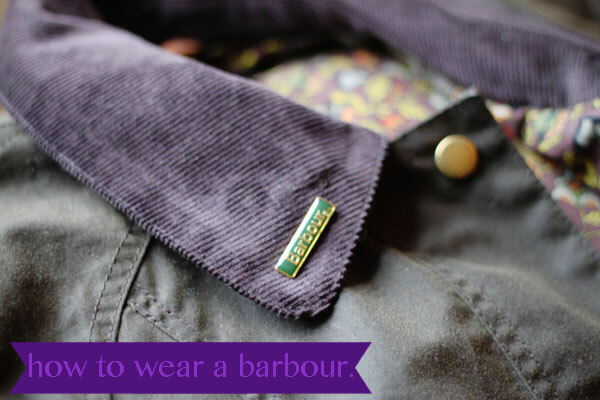 I was so happy to see this post, I am a Barbour-a-holic myself and wear my mothers circa 1984 (re-waxed several times now). so handy to throw on, mine lives in my car with the wellies just in case. It’s amzing how good design lasts several liftimes. HI Just wondered what type of bag you would recommend to go with the jacket? I had one for Christmas (the jacket!) and was given some money that I wanted to spend on a bag to complement my jacket! Just wondered if you’re still happy with your Barbour? I’ve just bought an identical one, but as it’s quite an outlay financially, I just want to make sure I’ve made the right choice. Do you only wear it with jeans or with skirts and dresses too? This looks lovely what size is it as wondering whether to get size up? Hi Julie, it’s a size 12 but they are quite roomy – I’d say go for your regular size if you want to wear thick jumpers underneath or size down if you want it more fitted. Hope that helps!